Cape Town’s picturesque scenery and uniquely blended culture aside, another big draw to the region, in general, is the food. 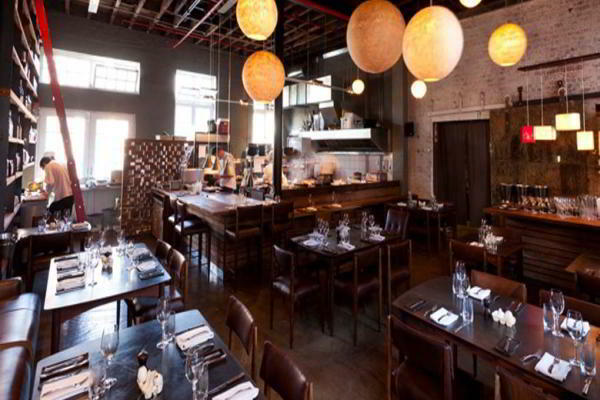 And when it comes to world-class cuisine, Cape Town has some of the most excellent restaurants on the globe. Here are five of the best restaurants Cape Town has to offer. The Test Kitchen is a relatively new restaurant opened up over the summer by world-renowned chef Luke Dale Roberts. Although it’s a relatively new spot, it has quickly become one of the hottest restaurants in Cape Town and attracts customers from all over. This 30-seat restaurant honestly started as a “test” for chef Dale Roberts, looking for ways to take his cuisine to new heights. The public has taken to this approach well, flocking in droves to this semi-formal eatery for fantastic dishes. The Test Kitchen has a beautiful old-world-meets-modern setting, with rich woods and bright art, brought to life by subtle globe lighting. Overall, it can be a little pricey, with the average meal coming in at around R350, but this mecca of fine dining is one of Cape Town’s best. 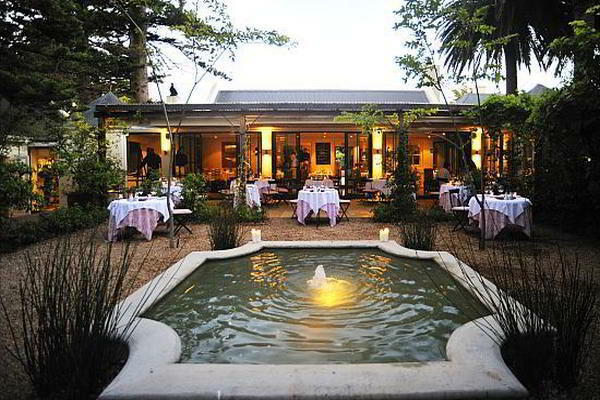 Executive chef Luke Dale Roberts’ original restaurant, La Colombe, is an Asian-inspired French fine-dining establishment in Constantia Uitsig featuring a seven-course tasting menu that draws in crowds from across the globe. The ambiance is incredibly unique, with a diner-like feel about it with chalkboard menus, but a very formal atmosphere with the table settings, custom-designed plates and food items like foie gras, bush tea-preserved quince, and rabbit confit. The restaurant is on the pricey side, so it’s one of those special occasion places for most, but from the unique setting to the blended fusion cuisine, La Colombe stands out for many reasons. 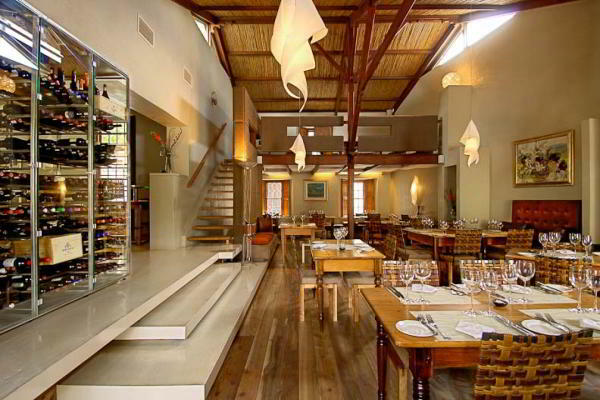 Aubergine stands out as Cape Town’s most complex restaurant regarding menu and ambiance. Located in the former home of Chief Justice Sir John Wylde built in 1930, this restaurant is the epitome of traditional meets modern. From the beautiful wood ceilings and soft lighting to the open, airy space and polished service staff, this restaurant is a winner before you even taste the food. The cuisine at Aubergine, prepared by world-renowned chef Harald Bresselschmidt, is described by many as a pure genius. They have an a la carte menu plus a traditional menu, and diners can mix and match their items for a two, three, four, and even five-course meal. 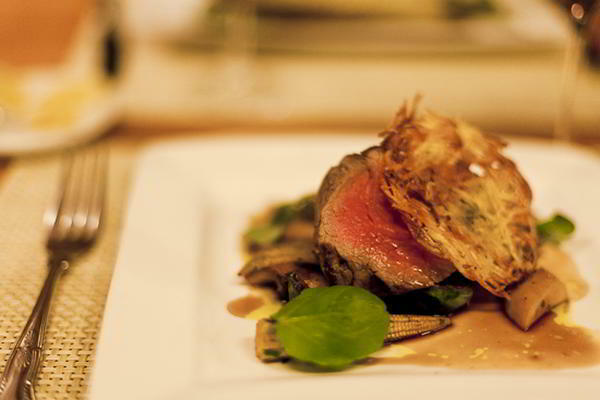 From a goat’s milk cheese soufflé to venison medallions and date confit, Aubergine is an extraordinary establishment. It’s a high-end restaurant that will cost on average about R350 (400/450 with wine), but everyone walks away from this restaurant satisfied. 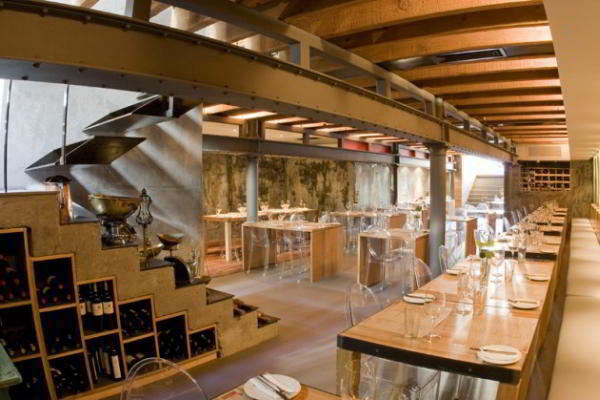 Located in Camps Bay, Cape Town, The Roundhouse is a formal-dining establishment that has made it their mission to make every diner feel like a VIP. As soon as you’re seated, you’re instantly greeted by a member of the impressive wait staff asking what you’d like to drink. 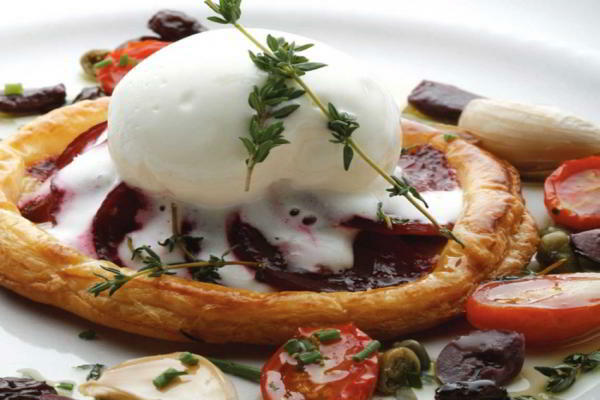 With contemporary French cuisine brought to life by chef PJ Vadas, The Roundhouse is always near the top of everyone’s list of best restaurants in Cape Town. 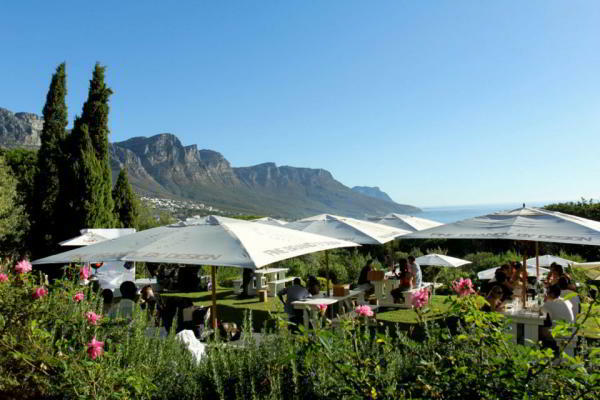 The actual restaurant is lovely, nestled snuggly in the beautiful Glen on the slopes of Lion’s Head, offering picturesque views of Camps Bay. 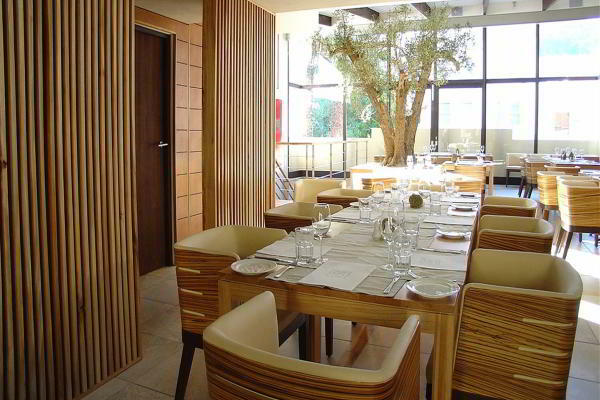 Inside the restaurant, the redwood immediately catches your eye, and the openness of the restaurant is accented well by the light-colored walls and natural light. Although The Roundhouse is a fine-dining restaurant, it’s not overly expensive. Averaging around R400 per full meal, it is still a little pricey, but compared to other elegant establishments, it’s quite a steal. 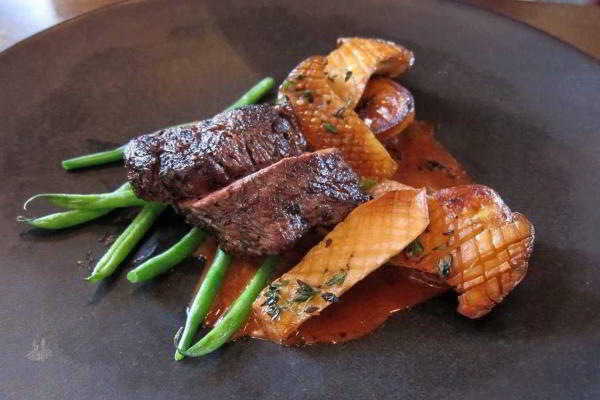 Made famous by chef-owner Giorgio Nava, 95 Keerom is one of Cape Town’s finest restaurants and has been known as such for years due to Nava’s insistence on cooking only the freshest ingredients possible. He catches his fish, farms his beef, and grows his vegetables where he can. Serving Milanese cuisine, 95 Keerom is a beautiful Italian-inspired establishment with plenty of South African influence. With bentwood chairs and Eames-inspired interior and exposed stone, the restaurant looks exactly like what it is – a fine-dining Italian restaurant in Cape Town. The service is friendly, the food is delicious, and the prices are very competitive. Overall, 95 Keerom is a standout establishment. 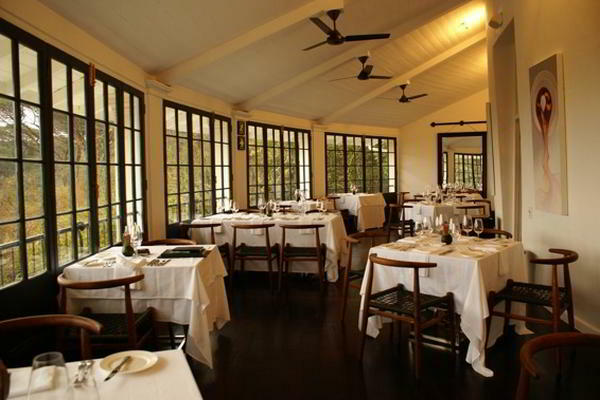 Visit Bistro 1800˚ for some of Cape Town’s finest steaks. 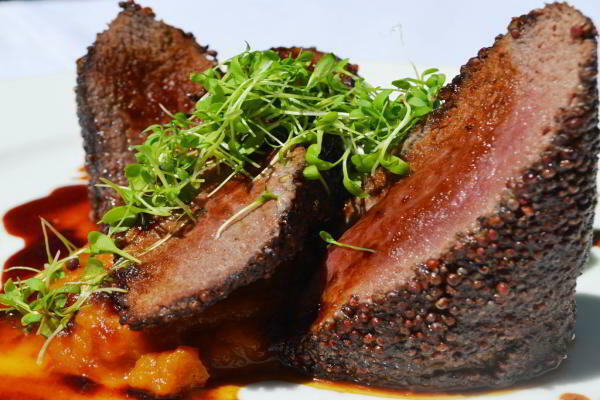 Located in the Cape Royale hotel, this restaurant draws its name from the imported grill that seals steak at 1800˚ Fahrenheit. Sit inside the eclectic, modern interior or on the terrace, perfect for summers’ evenings on the lively Greenpoint main road. If you are not a meat lover, the restaurant also offers excellent seafood dishes with international influences. Regulars get their own engraved steak knives, kept in a glass cabinet and produced each time they pay the restaurant a visit.